I am passionate about living a happy, healthy and successful life, and helping others do the same. I specialise in helping create loving and supportive relationships, greater self-confidence and self-esteem, and an experience of peace and fulfilment. It’s so easy to get lost in our busy, stress-filled lives and lose sight of what we truly want. Anxiety and fear for the future and emotional burdens from the past often get in the way of living life to the full, in the present, in the moment. I use a powerful combination of Mentoring and EFT (Emotional Freedom Technique) to help remove whatever is getting in the way and assist you towards greater health and wellbeing – to help you fulfil your unique potential of a happy and successful life. 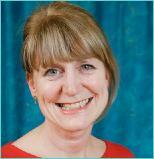 Anne Grey BA DipHom York has been in therapeutic practice since 1993. Fellow of The Healer Foundation, member of the BCMA. To subscribe to my mailing list please enter your email address below.